Take a shortcut to strength training with High Intensity Adaptive Resistance Exercise (ARX) technology. 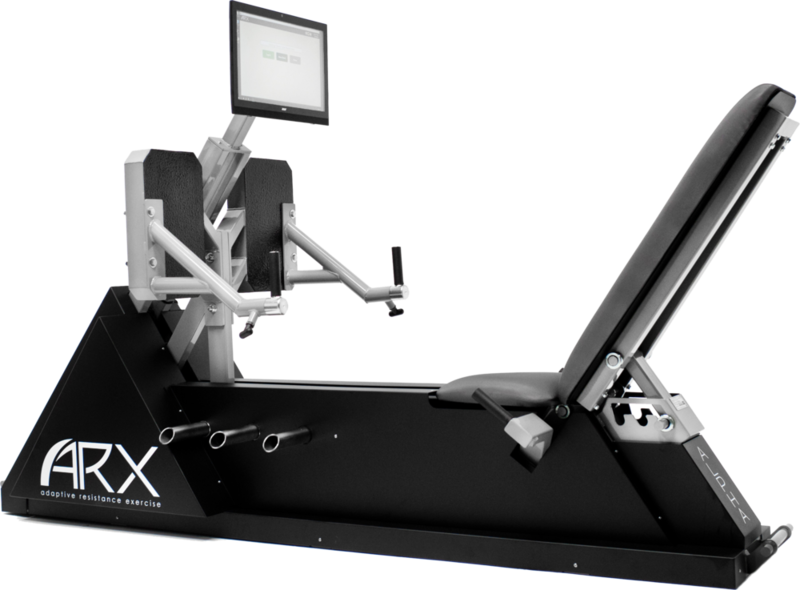 Our ARX equipment, using computer-controlled, motorized technology, pushes you harder than you could ever push yourself—giving you a week’s worth of strength training in under fifteen minutes. In our semi-private studio space, you’ll always have a trainer supervising, instructing and modifying your workouts to fit your specific needs. In just one session per week, you can safely build strength, endurance, and maximize the benefits of exercise. Your First ARX Session Is On Us. Click HERE to receive your promo code. Workouts are tracked so you know you’re making progress. Build strength, muscle and bone density. Improve your body composition, increase your metabolic rate and balance hormones. No loading up barbells or choosing the wrong weight resulting in injury. Focus is on the movements and technique. One ARX workout is less than the cost of a typical personal training session and you only have to train 1 or 2 times a week as opposed to 3-5 times per week! You do the math. Stronger muscles takes burden off joints and improves joint mobility. Increased strength means better balance and fewer falls. Important considerations as we age! This super efficient workout features less than 20 minutes of programming using both the Alpha and Omni. One of our staff members will assist you through your session to ensure proper technique and provide a truly personalized experience. Every ARX session also includes the use of our Bulletproof Vibe Plate. Accomplished only through this ground breaking technology, you will get a complete, intense, full body workout in less than 20 minutes. Using ARX, we recommend training every 4-7 days (1-2x per week). A workout on the Alpha is like choosing an automatic transmission for your car, it provides an efficient, full body workout with an easy learning curve. The Omni is our "manual transmission". It provides more versatility, control and a great selection of major and minor exercise movements.